Fr. Rito, Fr. Barry and I will be available in the church to hear confessions on Wednesday from 4:00 PM until 5:15 PM. 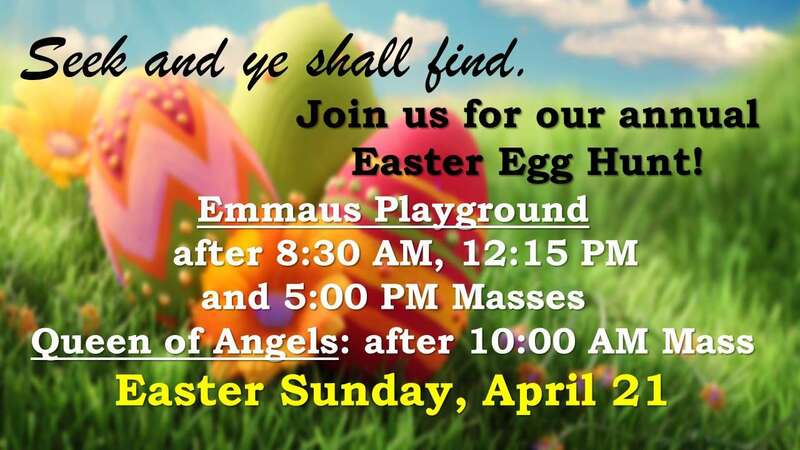 In past years quite a number of people came for this last opportunity before Easter. So I suggest that if you have planned on this day, please be early rather than later. Also, since we do expect a large number of people, I ask that you come fully prepared. The short time that we can be there means that we need you to be succinct and to simply tell us your sins so that we can give you a penance and absolution. We will not have time to counsel you or engage in discussion with you. If you need counseling that is available to you with a scheduled appointment with one of us at another time. Tell the priest how long it has been since your last confession. Simply state your sins. Do not digress or try to explain. God already knows why you did what you have done. Do not tell us what you have been doing right – God knows that also. Do not tell us about what you think may be your spouse’s, your neighbor’s or anyone else’s sins. Just state your sins. The priest will then give you a penance and ask you to pray out loud an act of contrition. Then the priest will pray the prayer of absolution after which you should go and complete your penance. Click here for Act of Contrition. I am offering the following catechetical guide to Triduum in hopes that it will help you to engage even more fully in these three wonderful days of liturgy. For parents, it may be as well, a means to help you to teach your children about the beauty of our Catholic faith. 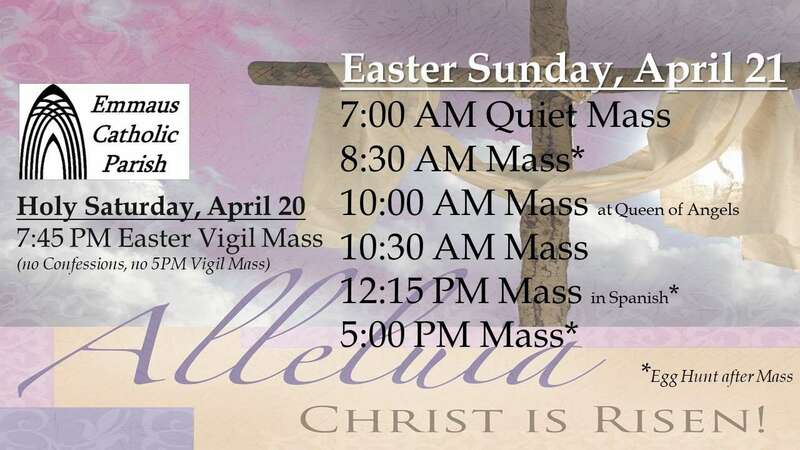 As I mentioned at Masses last weekend my hope is that you will come to the liturgies of Triduum so that you and your children might experience the three liturgies that hold the central place in our liturgical year. And if you bring your children, I suggest that you sit up front where they can see all that I describe here. This Mass will begin with the reception of the holy oils that will have been blessed by the bishop at the annual Chrism Mass on Tuesday of Holy Week. There are three oils. The first is the oil of Catechumens. That is used for anointing those being baptized. The second is the oil of the sick. That is used to administer the sacrament of anointing of the sick and last rites. The third is Sacred Chrism. Sacred Chrism is used to anoint those who have been baptized and those who are being confirmed. The bishop anoints the hands of a priest at ordination. When a church is dedicated, the altar and 12 places on the walls of the church are anointed and therefore consecrated. Anointing with Sacred Chrism indicates that an essential and permanent change has taken place within the person anointed. At the Mass of the Lord’s Supper we celebrate Jesus’ gathering with His disciples in the upper room for the celebration of Passover. 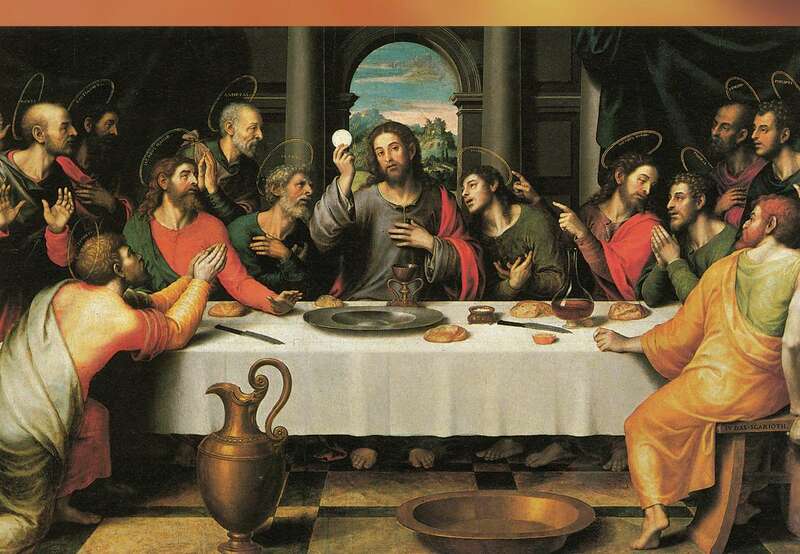 We know this event as the Last Supper for it took place on the night of His betrayal and arrest. We celebrate a Mass which is a ritual meal (supper). At that Mass we celebrate Jesus instituting the Eucharist with the words that we hear every time that we come to Mass. In addition, after the homily, we celebrate the ritual of washing of feet. 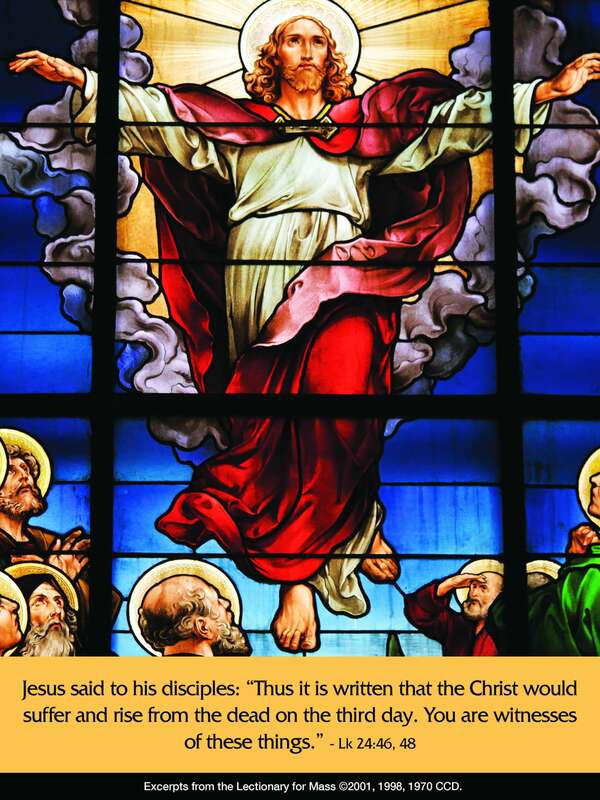 With the institution of the Eucharist, Jesus gave us spiritual food. 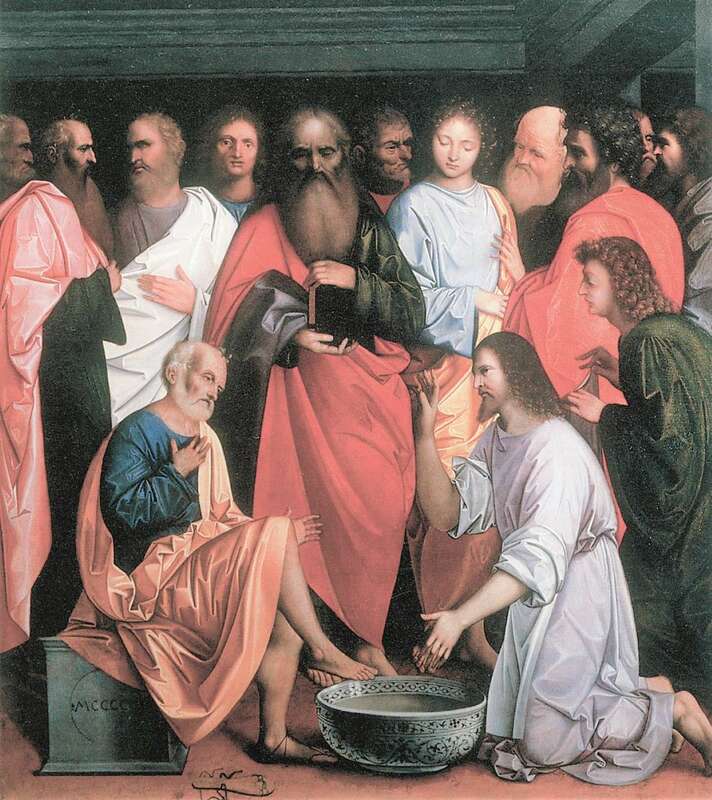 With the washing of the feet of His disciples He demonstrated in humility what lies at the core of Christian life: service to one another. At the end of mass there is the Eucharistic procession from the altar to the tabernacle. This symbolizes Jesus going to the Garden of Gethsemane to pray prior to His arrest. With that, Night Watch begins and that lasts until midnight. Night Watch is an invitation to be with Jesus in the garden as He prays. It is our response to Jesus saying to His disciples, “I am deeply grieved, even to death; remain here, and stay awake with me” (Matthew 26:38). 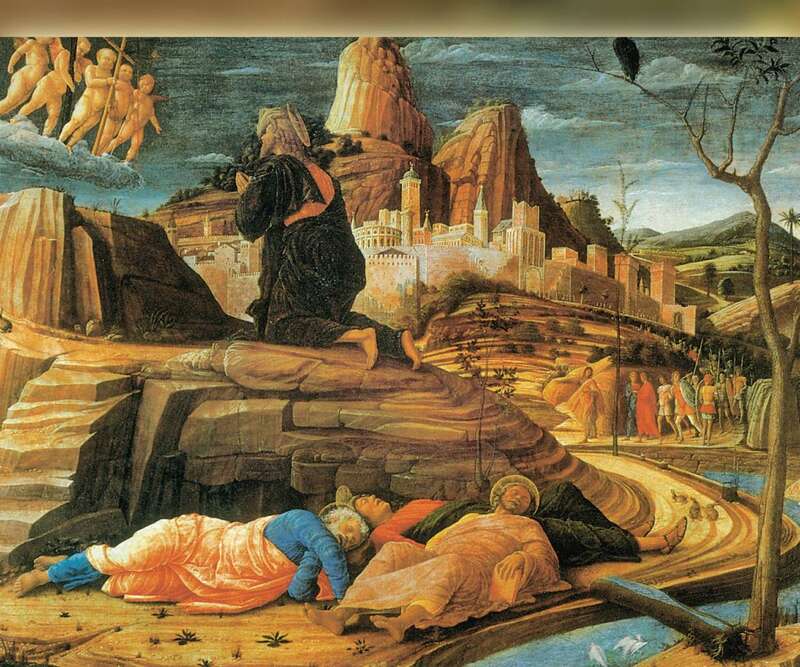 If you remember, the disciples fell asleep—the first phase of their abandoning Him. In addition, at the end of Mass the altar is stripped. The altar, which is consecrated to be where Christ makes Himself present to us in the Eucharist, will not serve that purpose again until the Great Vigil of Easter. Thus all altar linens are removed. In addition this year I will include a ritual that I learned when I was assigned to the cathedral in the first years of my priesthood. After stripping the altar, it will be washed with rosewater. That ritual reminds us of the tradition of washing a body after death in preparation for burial. Thus, it is another preparation for the next day when Jesus dies on the cross. On Good Friday there is no Mass said anywhere in the world. In the Church, everything is stripped bare. The tabernacle is empty. There is no holy water in the fonts. On this day we remember that with Jesus’ death on the cross and His entry into the realm of the dead, God was not present in His creation. 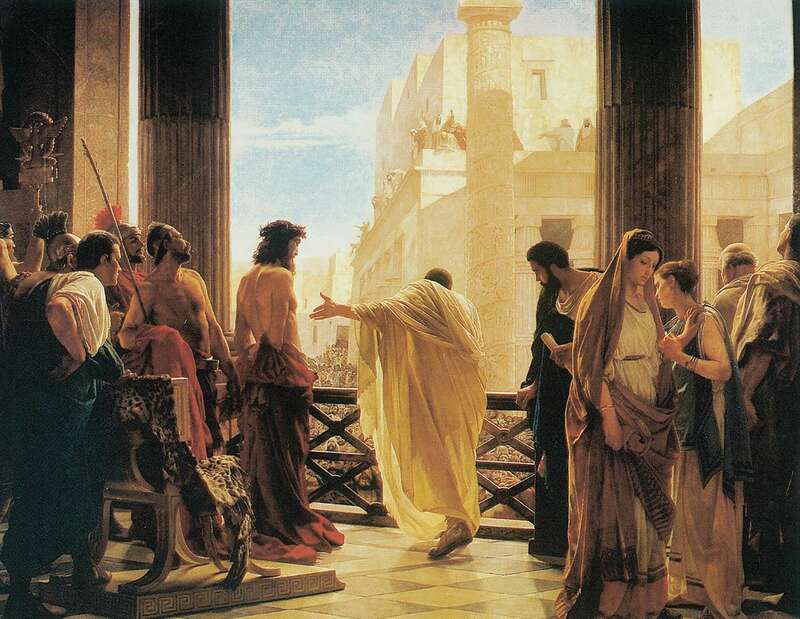 Scripture tells us that Jesus was crucified at nine in the morning. His death on the cross came at three in the afternoon. For that reason the Church requires that the service of the Veneration of the Cross take place either beginning or ending at 3:00 PM. The Church asks of us that there be only one veneration service, unless the local bishop authorizes additional services. For that reason ours will be bilingual. The service consists of three parts: the Liturgy of the Word (Scripture readings and intercessions), Veneration of the Cross and Holy Communion (with hosts consecrated the evening before at the Mass of the Lord’s Supper). After the Liturgy of the Word the Veneration of the Cross takes place. The cross is brought in with a procession from the back of the church. The cross will be covered. As the choir sings “This is the wood of the cross on which hung the savior of the world” and the people respond, “Come let us worship,” the cross is uncovered in three stages. Then, the veneration begins. 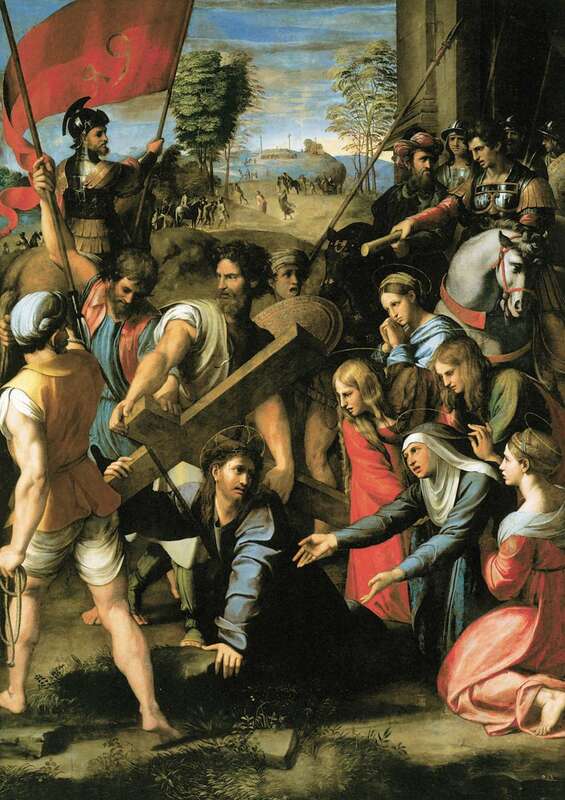 At Emmaus it has been our practice that the congregation shares in bearing the cross. This is reminiscent of the call to Simon of Cyrene to bear the cross of Jesus. With that we share in the burden that Jesus bore as He made way to His place of execution. It is important to note that crucifixion is among the cruelest forms of capital punishment ever devised by human beings. It was also considered a shameful death. In that manner, human power stripped from the person being crucified all dignity in a horrific way. It was a way of stating that the person crucified was nothing. The irony here is that through His death and resurrection Jesus transformed the cross. He made it a symbol of power, beyond mere human power. Instead of a symbol of shameful death, He transformed it into a sign of new life. In accord with tradition dating from the very beginning of the Church, this night is one of vigil for the Lord. It is a reminder to have our lamps burning, ready and waiting for the master’s return so that he will find us wide awake and ready to receive him. The service is arranged in four parts: a brief service of light, the liturgy of the word when the Church meditates on all that God has done for us from the beginning, the liturgy of baptism when new members are received into the Church and the liturgy of the Eucharist. 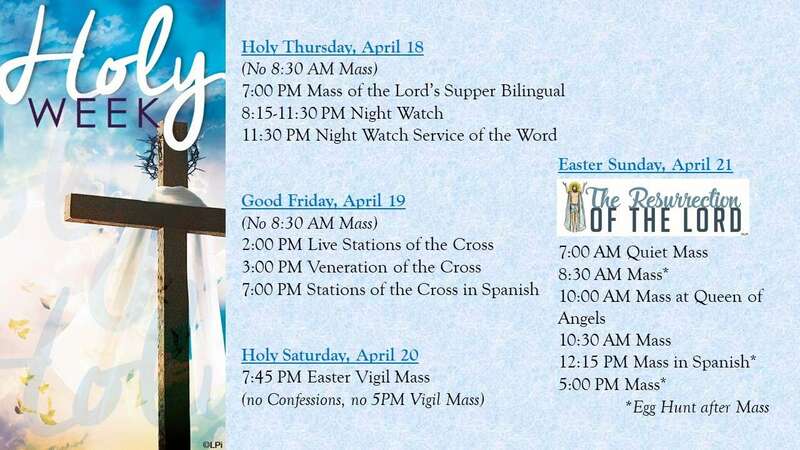 The entire celebration of the Easter Vigil takes place at night. Darkness symbolizes the world being in darkness before the coming of Christ. The service of light begins with the lighting of new fire in a suitable place not within the church. The priest blesses the fire and the Easter candle is lit from the new fire. The lighting of the Easter candle symbolizes the light of Christ emerging from the tomb. After lighting the Easter candle the priest marks the candle with a cross and the alpha and the omega. He says these words as he does so: "Christ yesterday and today, the beginning and the end, Alpha and Omega, all time belongs to Him and all ages to Him be glory and power through every age for ever, Amen." Then the priest inserts five grains of incense encased in wax into the cross. They are inserted in cross pattern symbolizing the wounds of Christ: on His head from the crown of thorns, in his hands and feet from the nails and the wound in his side from the lance of the Roman soldier. Then follows the procession of the Christ (Paschal) Candle into the church. The people have congregational candles which are lit from the fire of that candle. Thus the service continues with the people bearing the light of Christ (with lamps ready). As all stand with candles lit the Easter Proclamation (the Exultet) is sung. This is a song of rejoicing at the triumph of Jesus over death and the promise of eternal life for all. The liturgy of the word this year will have the minimum number of Old Testament readings. That is three. The maximum is seven. I have chosen to do that because this is a longer service and it begins at 7:45 PM. I am hoping that the promise that it will not be overly long will encourage more to come. As I stated above the readings for the Vigil remind us of all that God has done for us throughout history. After the homily the liturgy of baptism begins. That begins with a litany of the saints, which is an appeal to all the saints in heaven to pray for those about to be baptized and for us. This is followed by the blessing of the water which will be used for baptism. The blessing is done through a prayer and the dipping of the Christ candle into the water three times. 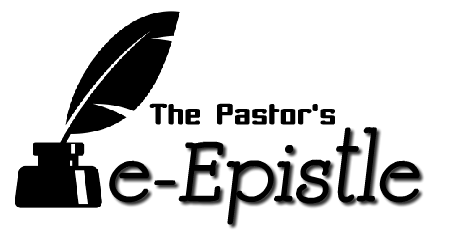 Those who have been preparing for entry into the church through baptism (catechumens) since last year will be baptized. Baptism may be by immersion with is a fuller sign of baptism or by sprinkling. We will do it using the latter. Those who are baptized are clothed in a white garment. That is symbolic of their new life in Christ. They also receive a baptismal candle lit from the Christ candle. That is a sign of their call to continue bearing the light of Christ in their lives. They will also receive the sacrament of confirmation. That is so because, while confirmation is a sacrament normally reserved to a bishop, a pastor must confirm anyone over the age of seven whom he baptizes. In addition those who have been baptized in other Protestant traditions (candidates) will be received into the Church through a profession of faith. Following the baptism, confirmation and the reception of the candidates, the entire congregation renews their baptismal promises. For those baptized as babies you will respond to the same promises that your parents made for your sake at your baptism. For those baptized after the age of seven you will reaffirm the promises you made at your baptism. Then the priest(s) and deacons pass among those present sprinkling holy water as a reaffirmation of your baptisms. Then there follows the liturgy of the Eucharist. Note: The Paschal (Christ) candle is lit for all Masses during the Easter season. The Easter season lasts until Pentecost. It is also lit at baptisms and funerals symbolizing each as moments of entry into new life in Christ.